QUIZ: What’s Her Engagement Ring Style? The hardest part about buying an engagement ring is figuring out what kind of engagement ring style she likes, especially when you’re supposed to somehow keep the whole thing a surprise. Most women will drop hints, while others might choose a more direct approach and simply show their boyfriends what kind of ring they want. 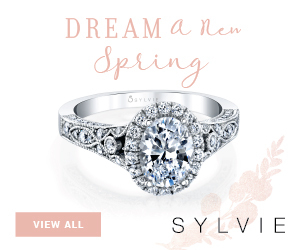 But if you’re still struggling with picking out an engagement ring, take this quiz to find out what kind of engagement ring she’ll be thrilled to have. 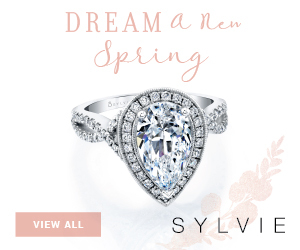 You can look up any engagement ring featured in the result in our ring gallery. On an average day, what kind of clothes does she wear? What does she accessorize with? Simple earrings, necklace and a bracelet. The question is what DOESN'T she accessorize with! The latest, most fashionable jewelry, and a lot of it. How much does she spend on her wardrobe? Not a lot. She's thrift-savvy. It could be a lot or not much at all; her clothes vary. I don't know? She rarely shops. She might hit Target from time to time. She likes nice quality things, so she spends a significant amount. She spends a modest amount. How does she style her hair? In some kind of carefully coiffed style. Thrown into a pony tail. In a tight, neat bun. What kind of job does she have? What is her room like? A combination of everything listed here. Full of pricey, expensive stuff. Diva! Likes the best and expects the best. Sweet, but a little stubborn. This is my girl to a tee!! She is just like the quiz has said she is!! Amazing!! OK, this is not accurate at all. I hate these rings, lol! I think the quiz was very accurate. I would have gone over the top on the ring! Right on! I have a pear shape and my original setting was a marquee. Love both styles! I just took this quiz for fun and I don’t care for these rings they came up with for me. They are cute but not for me. I love both these rings…. I hope he takes a similar quiz prior to purchasing my ring. But as stated in a previous comment I would wear anything that he bought for me. they were totally wrong my personality is not that of a girlie girl at all. and those rings were cute just not for me and my finger. hopefully me and my bf will talk about marriage and i’ll just be nice and show him some rings that i would like and he can choose which one to get. Eww. What ugly, tasteless things. I would hate to have to wear one. The one on the right has potential, except it looks like somebody ran over it and it’s all twisted up. The stone is set at an angle. Did they just not pay attention to manufacturing quality, or did it get stuck in some machinery? If a person simply must wear jewelry, what’s wrong with an old family ring that’s been around 50 to 100 years, instead of all of this trendy off-centered asymmetrical silver garbage that was obviously purchased for the occasion? If a person’s forced to buy a ring because of circumstance, which is always unfortunate, can’t it at least look like something with some history or culture behind it? Technically it’s none of a woman’s business what her engagement ring looks like, but if she plans to wear it in public, wouldn’t something non-embarrassing work better? Wow, right on the money! And I think Diana Vincent is my new favorite jewelry designer. Well I think the site is on point with my personality but has me pegged all wrong with those rings. I do not care for those rings and if my man bought them it would be the thought that count So I would still wear it. Just like the other young ladies said I will wear anything from him. I think my man has great taste and he is very close with my family and they know just what I like so I would hope he would ask them first. I was on the fence with a few questions, but this quiz nailed me down perfectly. 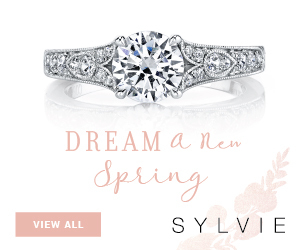 I love a vintage look and though those rings aren’t my “DREAM RING” it definitely narrowed down the field. My boyfriend would be pointed in the right direction, which is better than no quiz at all. Good work! They got my personality right but not the rings. My personality is to a T. And even though i hate jewelry the rings are definitely something that i wouldn’t mind wearing everyday. This was not accurate at all! I hated all of those rings and i’m not ‘quirky’. I took this quiz for myself to see how accurate it was. Which it wasn’t accurate at all. I took it for myself andbthe ring i love showed up. Amazing. Not correct at all! 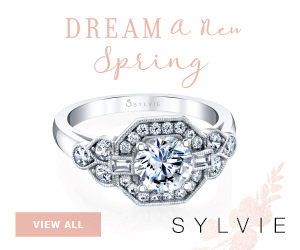 Im a very plain person but I want a very out there sparkley ring. I don’t wear jewelry but a wedding/engagement ring is special and I want everyone to be jealous! I have to say, I had no clue what ring I want and it made it hard to find something I like but I have to say, this quiz nailed me. Plus, I ACTUALLY liked the styles shown. Not gaudy or huge and flashy, just tasteful and simple. Good job. This describes me perfectly, but I would like a ring that is a little more than these. Wow. This is me exactly and the rings are BANG ON what I would want!! Great quiz! So not right. I am far from being a girly girl. I am rough and rugged haha. I’d be good with just a band, as long as my husband comes with it. i did this just for kicks to see what it would peg me as and … Quirky I am. What I am not though is a selfish little brat. Some of you guys sound horrendous in your negative responses. “I hope he gets me…”, “What ugly rings”… You all need to check your priorities and really listen to how snobby and selfish you sound. My goodness! Although I didn’t like the exact rings pictured for my results the description was spot on. I was surprised by how accurately my preferences were depicted. This is not me at all. I have to be practical because I’m a mom and my kids come first. I want a heart shape. UGH! Description was accurate but I don’t like those rings at all! I’d rather have the man I love.